Pioneers in the industry, we offer gt2705-vtbd mitsubishi human machine interface, gt2708-vtba mitsubishi human machine interface, gt2708-vtbd mitsubishi human machine interface, gt2508-vtwd mitsubishi human machine interface, gt2508-vtwa mitsubishi human machine interface and gt2508-vtbd mitsubishi human machine interface from India. Before using this product, please read this manual and the relevant manuals introduced in this manual carefully and pay full attention to safety to handle the product correctly. The precautions given in this manual are concerned with this product. The GOT is an open type device (device installed to another device) and must be installed in a conductive control panel.It not only assure the safety but also has a large effect to shut down the noise generated from GOT, on the control panel. The control panel must be conductive. When fixing a top or bottom plate of the control panel with bolts, do not coat the plate and bolt surfaces so that they will come into contact. And connect the door and box using a thick grounding cable in order to ensure the low impedance under high frequency. When using an inner plate to ensure electric conductivity with the control panel, do not coat the fixing bolt area of the inner plate and control panel to ensure conductivity in the largest area as possible. Ground the control panel using a thick grounding cable in order to ensure the low impedance under high frequency. The diameter of cable holes in the control panel must be 10cm (3.94in.). In order to reduce the chance of radio waves leaking out, ensure that the space between the control panel and its door is small as possible. Paste the EMI gasket directly on the painted surface to seal the space so that the leak of electric wave can be suppressed. Our test has been carried out on a panel having the damping characteristics of 37dB max. and 30dB mean (measured by 3m method with 30 to 300MHz). Ground and power supply wires for the GOT must be connected asdescribed below. Provide a grounding point near the GOT. Short-circuit the LG and FG terminals of the GOT (LG: line ground, FG: frame ground) and ground them with the thickest and shortest wire possible (The wire length must be 30cm (11.81in.) or shorter.) The LG and FG terminals function is to pass the noise generated in the PC system to the ground, so an impedance that is as low as possible must be ensured. As the wires are used to relieve the noise, the wire itself carries a large noise content and thus short wiring means that the wire is prevented from acting as an antenna. Note) A long conductor will become a more efficient antenna at high frequency. The earth wire led from the earthing point must be twisted with the power supply wires. By twisting with the earthing wire, noise flowing from the power supply wires can be relieved to the earthing. However, if a filter is installed on the power supply wires, the wires and the earthing wire may not need to be twisted. We offer GT2708-VTBD Mitsubishi Human Machine Interface to our clients. We offer GT2508-VTWD Mitsubishi Human Machine Interface to our clients. We offer GT2508-VTWA Mitsubishi Human Machine Interface to our clients. We offer GT2508-VTBD Mitsubishi Human Machine Interface to our clients. A wide range of power and electrical products from generators to large-scale displays. A wide portfolio of cutting-edge semiconductor devices for systems and products. Dependable consumer products like air conditioners and home entertainment systems. Commercial and consumer-centric equipment, products and systems. Maximizing productivity and efficiency with cutting-edge automation technology. 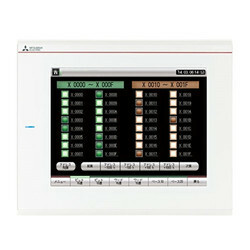 Machine diagnosis function: GOT displays the machine diagnosis screen of the maintenance functions of MR Configurator2. In addition, by using estimation values collected by logging and threshold values set on the GOT, you can predict machine deterioration and make preventive maintenance easy. One-touch tuning function/Tuning function: GOT displays the tuning screens that are equivalent to the adjustment functions of MR Configurator2. You can easily adjust gain parameters of servo amplifiers on the GOT without a personal computer. 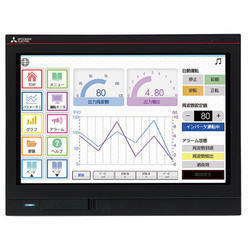 We offer GT2507-WTBD Mitsubishi Human Machine Interface to our clients. We offer GT2510-WXTBD Mitsubishi Human Machine Interface to our clients. 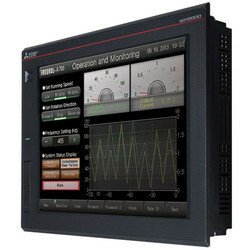 High-speed processing: Easily operate the screens even during high-load processing, such as logging, script, alarm or device data transfer. Enhanced lineup: The new GOT2000 is suitable for applications in any industry. The GT27, GT25 white model provides an additional color option, and the flush frame without the USB port can be cleaned very easily. The GOT can be installed vertically for extra flexibility when installed in confined spaces. Zoom in to easily operate small and hard to reach switches. After zooming in, scroll the display to show the area you want to operate. 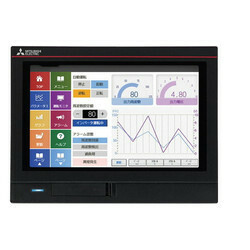 We offer GT2308-VTBD Mitsubishi Human Machine Interface to our clients. We offer GT2310-VTBA Mitsubishi Human Machine Interface to our clients. 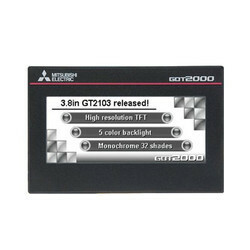 We offer GT2103-PMBDS Mitsubishi Human Machine Interface to our clients. 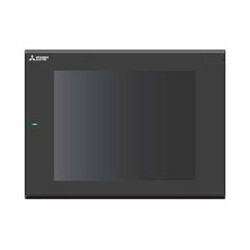 We offer GT2103-PMBD Mitsubishi Human Machine Interface to our clients. We offer GT2104-RTBD Mitsubishi Human Machine Interface to our clients. 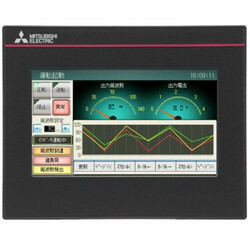 We offer GS2107-WTBD Mitsubishi Human Machine Interface to our clients. Start from SD memory card: Transfer the screen data and all the necessary system data to make a GOT operate to a SD memory card in advance. Then the GOT can be used just by inserting the SD memory card. Useful for replacement or maintenance of GOT. Logging function: GOT manages the data of all connected industrial devices. The data can be collected at any arbitrary timing and can be used for data analysis and feedback. Backup/Restore: Using backup/restore function, PLC program can be replaced even without a PC. 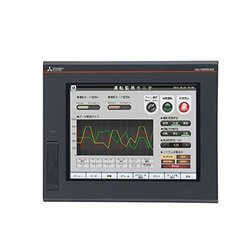 When PLC program is backed up to GOT*1 , PLC program and machine operation can instantly be restored even if an unexpected failure occurs. Set up and modify devices without changing cable connections. 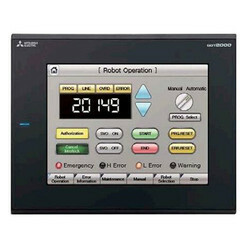 The GOT acts as a transparent gateway to enable programming, start up, and adjustment of Mitsubishi industrial devices.